When the breeze flits across your brow, and the grass pokes through the spaces between your toes, a particular feeling can begin to take hold. Breathing deeply the fragrances carried by the wind, the mind begins to wander and imagine all sorts of wonderful things. Is it any wonder that so much poetry has been written about the grass and the breeze? A plethora of writing is available, so we have chosen three of our favourite poets, all of whom are renowned in their own right and whose work is particularly captivating. These poems are best enjoyed in the surroundings they portray. A book of poetry brought to the park on a sunny day spent reading amongst the fresh grass, the breeze blowing freely, will make these poets’ words ring true and will put you into the right state of mind to enjoy them. Walt Whitman’s collection Leaves of Grass is, as the title implies, written in precisely this mood. 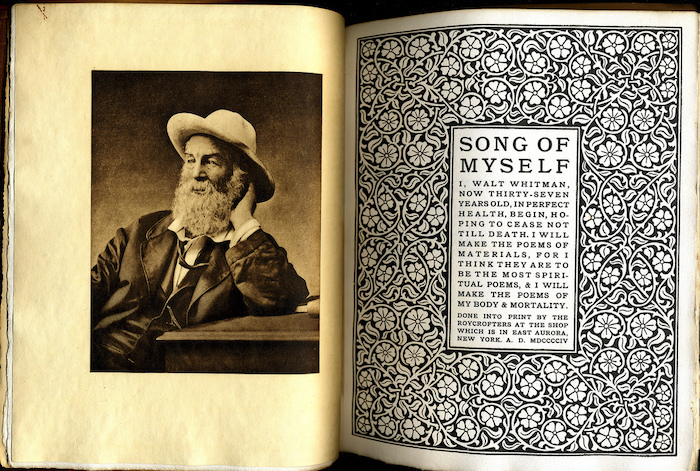 Most will probably be familiar with Whitman – one of the first great American poets, and roundly celebrated for it. Whitman’s work resists classification; it is something in between the Transcendentalism that preceded him, and the Realism that followed him. But what is easier to grasp is his sheer love of the natural world – of the grass and the breeze. you know you’re in for something quite powerful. Because Whitman places himself here in precisely the mood of that particular feeling. Every atom belongs to him, as it belongs to you – loafing in the grass, observing one of its single spears, Whitman opens his poem by telling the reader that everything – him, you, me, and the spear of summer grass – is one. The image of a poet sitting on a wild patch of grass with the breeze gently pinching the pages of his notebook before letting go is one which certainly puts you in a mood of Whitman’s universal communion. That ‘Song of Myself’ is remembered and celebrated for its powerful bringing together of everything as one is of no surprise – but what is surprising is that the poem began when he looked at a spear of summer grass. He is speaking directly to the wind – calling it thou. And although he, writing this poem two years before he died, is old and broken down, the breeze rejuvenates him. It is a better companion than any other activity: it is a poem about sitting in the wind, and how wonderful it is to do so. But this is not a new discovery. 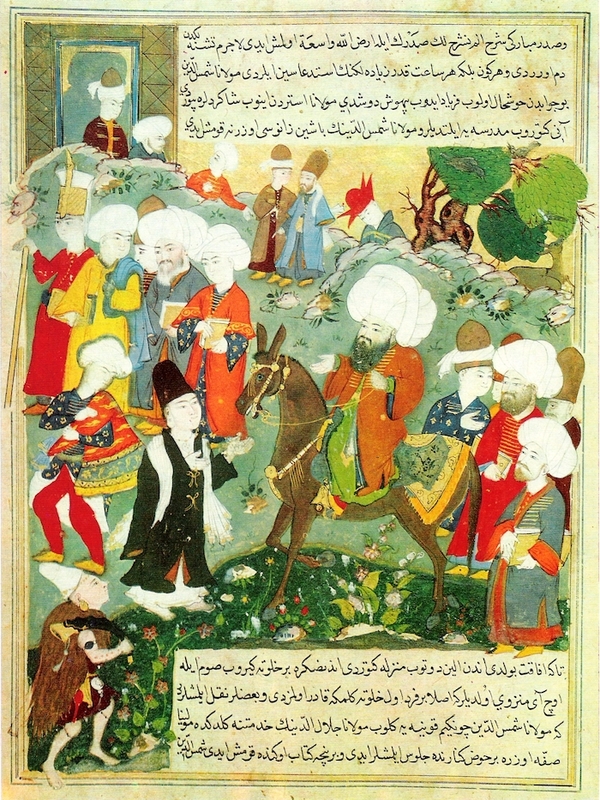 Mewlana Jalaluddin Rumi – more well known as just Rumi – was a 13th-century Persian poet and scholar. He wrote an enormous amount – everything from juridical documents to religious treatises – but his poetry is perhaps what he is best remembered for. His poems are powerful, terse, and incredibly evocative. He is another poet best enjoyed when you are seated on the grass. The breeze at dawn is a very different animal from the breeze at sunset. Here, it carries secrets and Rumi pleads with the reader not to go back to sleep. The breeze at dawn carries people back and forth across the two worlds – life and death? The poem is too brief to give any definite answers, but perhaps definitive answers are not what we should be looking for. Instead, think of how this poem so perfectly represents the feeling of the dawn breeze. Tired, wishing to go back to sleep, in a strange mood – the dawn breeze sets us in a surreal and contemplative mood, carries us to imagination and memory where the dead walk through the round and open door of our mind into life. Rabindranath Tagore, the celebrated Bengali poet, imagines the breeze as something far more playful and wonderful in ‘Passing Breeze.’ Another brief poem – its 11 lines much closer to Rumi’s work than the 70 or so pages that make up Whitman’s ‘Song of Myself’ – it encapsulates the delightful feeling of the breeze. 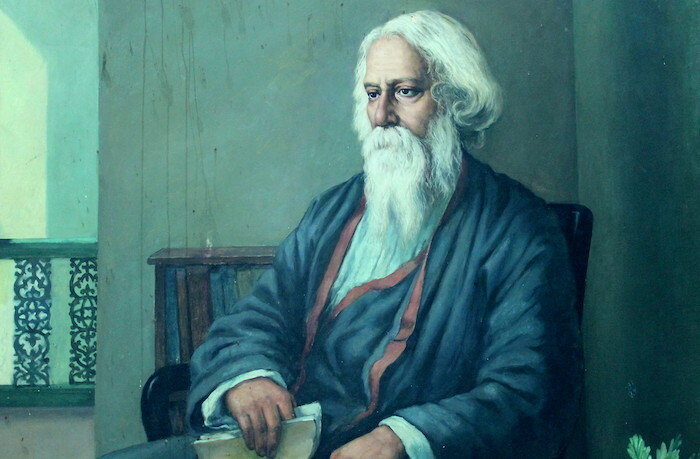 Curiously, in a poem named ‘Passing Breeze,’ the actual breeze only makes a brief appearance, leaving its coolness upon his Tagore’s forehead. But it seems that this passing breeze is at the center of Tagore’s love and adoration. Its coolness upon his forehead is accompanied with the light dancing on the leaves, idle clouds sailing by – in short, all of the wonderful things about sitting on the grass and feeling the breeze. And this naturally puts the poet in a state of mind filled with gentleness. The breeze and the leaves strike Tagore as a message to his heart from his lover, and he responds in kind. The delights offered to him by nature mirror those delights that his lover has given him. The poem is about happiness – about sharing and spreading the feeling of joy. Whitman, Rumi and Tagore portray nature very differently. But they all treat it as something essential to human existence. Whether it’s Whitman’s spear of grass bringing everything into one, or Tagore’s passing breeze setting passions aflame, they all believe in its beauty and power. And if any of these strike you as particularly compelling or beautiful, their works are not difficult to find. We have not even scratched the surface of these three wonderful poets, and if they’ve struck your fancy, bring one of their books with you and make some time for the natural world. Lightly brushed by the wind, spears of grass folding underneath your feet, and a book of poetry in your hands — there is no better way to enjoy it, and no better way to find what they mean to you.